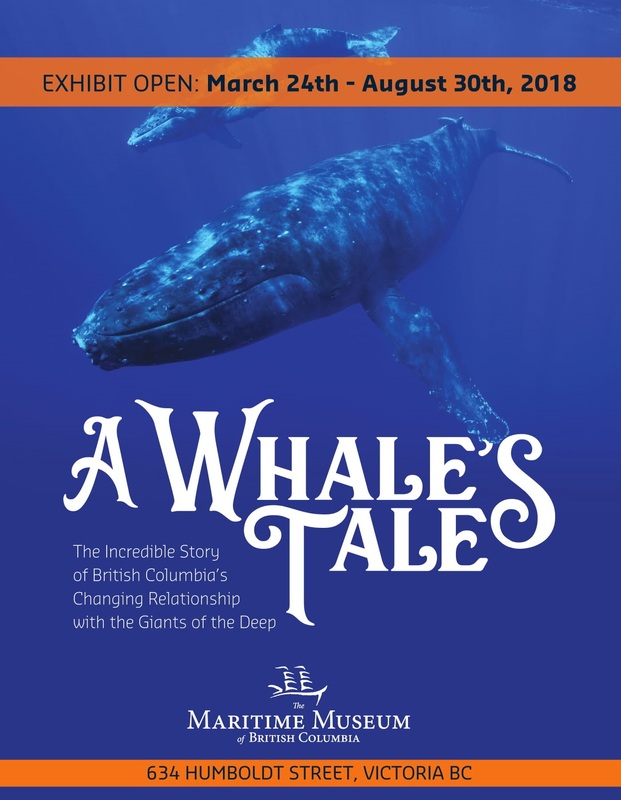 Discover the Maritime Museum of BC’s featured summer exhibit, A Whale’s Tale: The Incredible Story of British Columbia’s Changing Relationship with the Giants of the Deep. For thousands of years, humans along British Columbia’s coast have co-existed with one of the world’s most majestic and powerful ocean creatures: the whale. Today, these amazing creatures are one of the most revered marine mammals along our coast. We study their behavior, their acoustics and ways of communicating; we try to capture their majesty through photography, art, and writings; we track resident pods and identify individuals; and we aim to protect their environment. However, this has not always been the case. How have our interactions with whales changed throughout history? Why do we now choose to shoot whales with cameras rather than harpoons? Discover A Whale’s Tale, a featured exhibit at the Maritime Museum of BC that explores our ongoing fascination with the many different species of whales along our coast, our changing public attitudes and perceptions, the history of the whaling industry, and the ongoing challenges facing our coastal whale populations today.